You’ll spend today with Carol discovering the small prairie towns of Acadia, Empress and a local Hutterite colony. 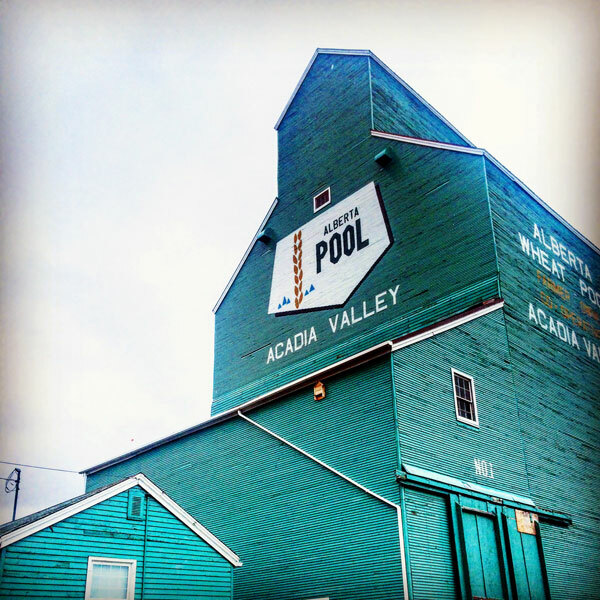 After breakfast at the ranch, it’s off to Acadia Valley to tour the hamlet’s historic grain elevator and museum. Learn how this region’s traditional grain crops were weighed, graded and sent across the country by rail from this historic site. Tour the Eaton’s Catalogue House (imagine country houses ordered by mail!) beside the grain elevator – then pause here for tea and to shop for locally made crafts, woodwork, pottery and hand-made edibles. Next up on your countryside tour is a visit to Sagebrush Studio just east of Empress to see the work of landscape painter Dean Francis and his wife, potter Fran. Take the walkways through the lush prairie gardens that cover the property and settle down in the grass for a sunny picnic lunch. Before heading back to the ranch, you’ll tour a nearby Hutterite Colony to pick up market produce, eggs and handicrafts. End your busy day back at the ranch with a hearty meal and one last free evening of prairie peace and quiet.